Elizabeth (Liz) McKee Anderson is a pharmaceuticals executive and the independent board director for Revolution Medicines, where her responsibilities include providing advice on company and portfolio strategy, business development, and global analytics. 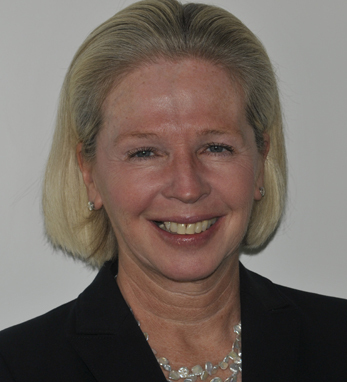 Liz also serves as a trustee of the Wistar Institute and is the principal of PureSight Advisory LLC. She previously served as the worldwide vice president in the infectious diseases and vaccines, immunology and biotechnology therapeutic areas of Janssen Pharmaceuticals, a Johnson & Johnson company. In those roles, she was responsible for global marketing, market access and global analytics functions and partnered to develop and launch growth-enabling J&J brands. Earlier in her career, she held the positions of vice president and general manager for Wyeth Vaccines and vice president of plasma operations for the American National Red Cross. Liz holds a B.S. in engineering from Rutgers College of Engineering and an M.B.A. in finance from the Sellinger School of Business and Management at Loyola University in Maryland. The immigration records of Liz’s great-grandmother, Hannah, show that she arrived in New York in 1889 on the ship “City of Chicago” with her sister and two young sons. The elder boy was Liz’s grandfather, Edmund. Upon their arrival, Hannah was reunited with their husband, and the children with their father, Michael Flynn, who had emigrated before them. Liz and her sister, Suzanne, have identified the family’s hometown as Fermoy in Co. Cork.